Only 094 Booking slots left – book now! If you have a general waste collection and glass collection you can sign up for a free glass collection today, complete the form below. You’re eligible for a free glass collection* subject to terms & conditions. Recycling in Halifax can sometimes be a bit of a pain. With the council imposing strict rules on the amount of waste that can be collected, along with extra charges for bulky collections, getting rid of waste can go from inconvenience to full-on logistical nightmare. With more awareness around plastic waste and ethical disposal than ever before, recycling has become a key priority for organisations big and small across the UK, and the pubs, cafes, restaurants and shops of Halifax know too well that getting waste collected can take time and cost money. For glass recycling, however, things don’t need to be nearly as hard. FreeCollections.co.uk are specialists in glass recycling in Halifax and surrounding areas, providing a free collection service to a huge variety of businesses of all sizes. 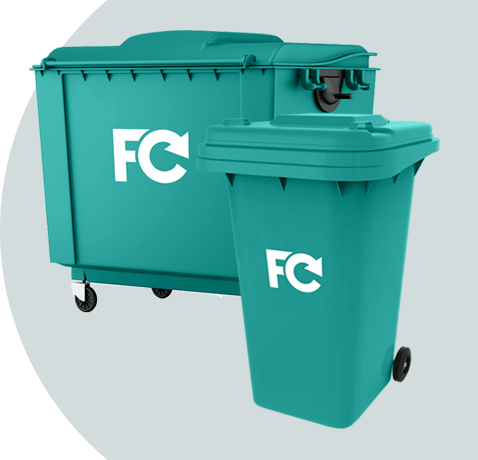 Open to those who already have a general waste bin or recycling container, we will take away pre-sorted waste glass completely free of charge after a short consultation and the meeting of certain criteria. Just like the rest of the UK, glass makes up around two-thirds of all Halifax’s commercial waste by weight, and the storage and disposal of glass can become an unwanted businesses cost. 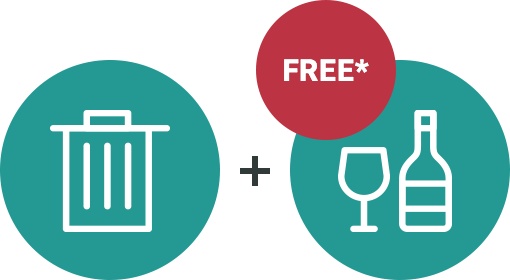 Instead of you having to split up excess bottles or travel to a waste disposal facility, we can get rid of all of your glass in one easy visit. Instead of simply mixing in glass with general recycling or even general waste, a glass-only container means that FreeCollections can get rid of your glass quickly and painlessly. Finding out whether you’re eligible for our free glass collection service is easy. After filling out a short form that details just how much glass you’ll need to get rid of, and when, one of our friendly representatives will get in touch to see if we can start collecting straight away, or whether you’ll need to join our waiting list (ours is a popular service!) We also offer collection for a massive range of other waste products and recyclables too, so we may just be able to solve all your green business initiatives in one go. If you’re looking to turn your business into a more environmentally-conscious one, and of course meet the rules and regulations behind waste management that will only become more strict as the UK inevitably begins to recycle even more, then let FreeCollections.co.uk dispose of your business waste, safely, ethically, and well within legal boundaries. © FreeCollections.co.uk is a trading style of Business Waste Ltd. Company Registration Number: 09144664. Registered in England & Wales at Artemis House Eboracum Way, Heworth Green, York, YO31 7RE.